According to Todd Palin, the next time Sarah says she is going to join the P.T.A. he has a few more questions he wants to ask! This classic line on national television characterizes Todd’s reaction as he watches his wife rise like a space shot from housewife to vice presidential candidate in a few short years. As a bush pilot and snow machine racer, Todd’s easy manner shows, while his wife, Sarah, after delivering her fifth child, is selected by John McCain as his running mate for Vice President of the United States. Only in America is the Sarah Palin story capable of capturing the hearts and minds of the millions of good people of this great country. And then there are the other people in the country! Within minutes of this incredible story, the vultures, a posse of political trial lawyers, start circling in search of whatever they can use to destroy Sarah. Finding little of substance, they proceed to fabricate what they need to discredit the phenomenal success of this amazing couple. 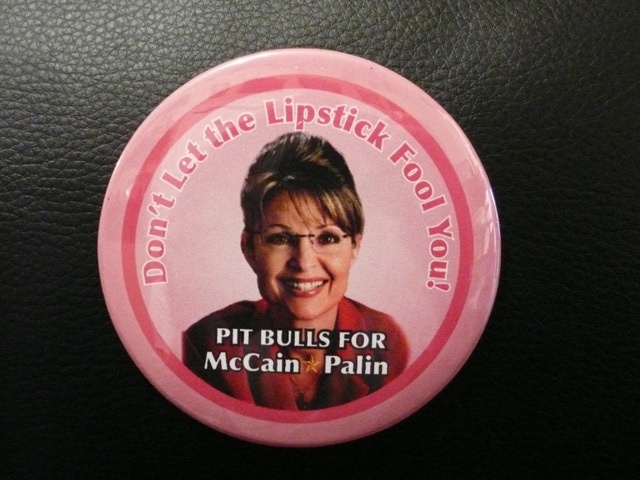 It may be that only in Alaska, the last frontier, is it possible for a Sarah Palin to rise, like a breath of fresh air, from the political tar pits. As Todd has been blessed by this incredible woman, now the Republican Party has received its injection of vitality which has been missing since Newt Gingrich and Rudy Giuliani left the political scene. Clearly, John McCain saw in Sarah a fellow maverick who will oppose all who work behind the scenes for personal benefit, rather than for the good of the country. What the trial lawyers and the media have reported from Alaska is that there are republicans who have mixed feelings about Sarah’s leadership. At last we find a politician who will do what is right regardless of party affiliation. Lieberman learned this lesson the hard way. Extremists, like most in the Democratic Party, have yet to learn this lesson. The louder they scream, the greater the evidence that one is on the right track. Of most interest is the perverse sort of non-support Sarah has received from the National Organization of Women. While sharing the appropriate gender markings with this group, she appears to have little in common with the women of this organization. She undoubtedly could swap stories with Tammy Bruce about the perverse politics of N.O.W. In this regard it is clear that Sarah is perfectly comfortable within her own skin, as a woman, as a wife, as a mother, with her family, and quickly as a chief executive officer in two different elected positions. Her credentials as an executive and a leader are vastly superior to all those running for the nation’s highest offices. As for the National Organization of Women, they should adopt her as an ideal role model for women in America. Wouldn’t it be nice if every woman in this great country could rise above the mythical glass ceiling, as Sarah has done, without the need to use her gender for personal gain, or as an excuse for personal shortcomings. The NOW mode is filled with whiners, victims, abused, discriminated, and pathetic individuals, each with a tainted tale that explains a fall from grace. The glass ceiling has become a catch-all term used to describe this sordid collection of non-functional persons, and blame it all on males. Fortunately, Sarah will have none of it. She has risen above party in the name of doing what is right for Alaska and the country. This dynamic duo, Sarah and John McCain, will now conspire to clean up the sordid mess in Washington, which most Americans know is badly broken. With McCain’s decades of experience as a maverick on the inside, and Sarah as the outside maverick, the two should be able to move the earth. If Sarah had it by herself, she might field dress and clean Washington D.C. before those bumbling idiots discovered what was happening. It is time for a house cleaning, Sarah style. And what happens to Todd? What a lucky guy! He lives with power the same way he rides his snow machine: easy on the brakes, but as a rule just let her rip!